As many of you know, I have been learning how to play hockey for a bit over a year now (and write about that on my “Hockey Noob” blog). This past Saturday, after my “Hockey 102” class was finished, the Chicago Blackhawks took to the ice for their team practice. 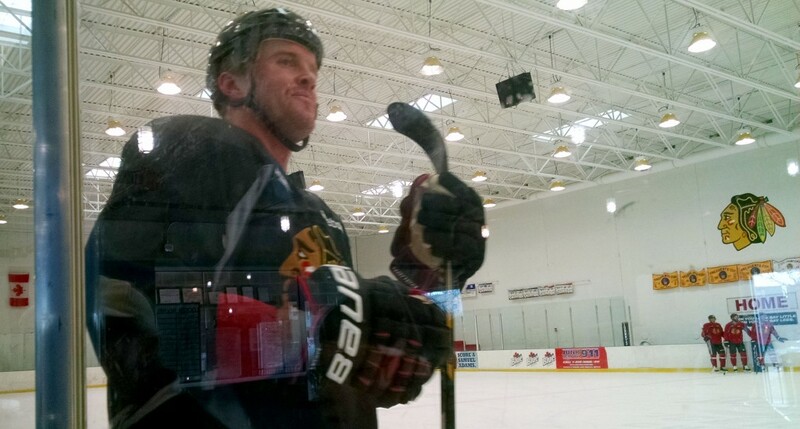 Funny that, one minute the … Continue reading "Blackhawks Practice [Video & Photos]"